World-class snow and snowboard-free surroundings at Alta. 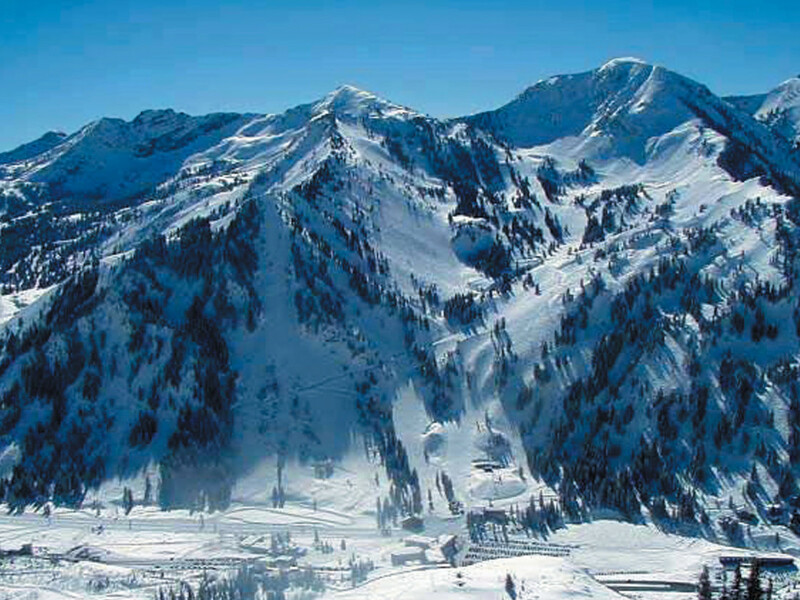 Alta is one of the most popular ski resorts in the country, seeing over 500,000 annual visitors. It’s best known for its incredible powder skiing and world-class steeps, but it has another claim to fame, as well. 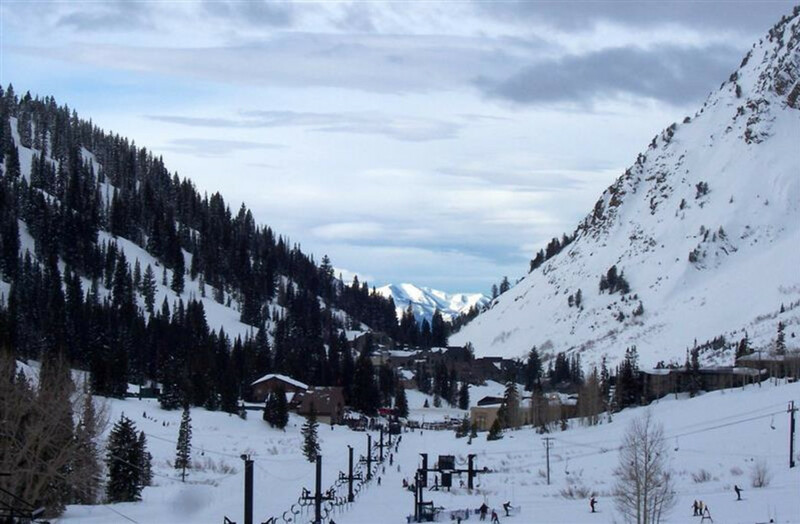 Alta is one of three major resorts in the U.S. that doesn’t allow snowboarding. Some would say that the lack of snowboarders makes Alta great, others feel just the opposite. Whichever camp you happen to be in, it’s tough to argue with over 500 inches of light, dry snowfall a year. And, while the locals can be a little crusty, Alta is a genuinely friendly mountain with state-of-the-art equipment and charmingly retro guest accommodations. Alta is just up Little Cottonwood Canyon from Snowbird Ski Area and roughly 30 minutes (weather allowing) from downtown Salt Lake City. That 30-minute drive takes you from a bustling city to a quaint ski resort with modern lifts and equipment and an old-school, retro feel. The resort’s world-famous terrain is coveted by alpine and telemark skiers alike. Alta receives 514 inches of snowfall per year on average, due to the lake effect from Great Salt Lake, and is second only to the Cascades in annual snowfall for the continental U.S. The snow here also has a reputation for exceptional quality. Known as “Champagne Powder” or “cold smoke,” Alta snow is extremely dry and light, and Alta’s powder skiing is reputed by many to be the best in the world. Alta and Snowbird were recently connected, and joint passes can be purchased. Alta is a bit more accessible to the intermediate crowd, however, with 25% beginner runs, 40% intermediate, and 35% advanced. Just remember before you plunk down your cash for a joint pass—any snowboarders in your group will be turned away from Alta. Alta has skiing for every ability level, but the folks who will have the best time are advanced intermediate to expert skiers who can take advantage of Alta’s world-class terrain. Alta offers several different passes, ranging from $38 (adult, late afternoon) to $84 (adult, full day). If you don’t feel comfortable attacking the mountains more advanced areas, beginner area passes are $40 for the day. Alta usually opens during the third week of November and closes the first week of May. Alta also has a full ski school and a Nordic center for folks who would rather cross-country ski than downhill.